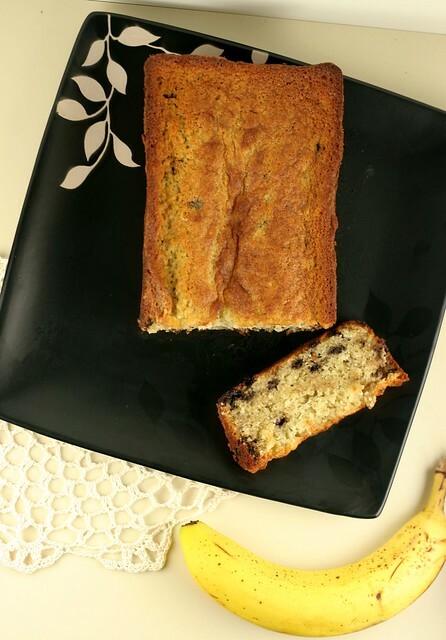 This cake is a mouthful to say - chocolate chip banana buttermilk loaf cake. Shew. A lot of goodness in there. I was sitting around this past weekend on a lazy Sunday with Michael and my parents. All of a sudden I announced, "I want to bake something." So I went in Mom's kitchen and looked around. I saw bananas. I saw buttermilk in the fridge. I saw mini chocolate chips in the pantry. It was on. I mashed 2 large bananas, creamed butter and sugar, added my bananas and dry ingredients, then came chocolate chips... and just one bowl full of goodness later, I had super moist banana loaf cake ready to throw in the oven. Loaf cake is thick and dense, so it's a little tricky to make sure it's cooked all the way through, but not burnt around the edges. I like to bake it half the time, then place a sheet of aluminum foil over the pan for the other half. This protects the top of the cake from browning too much in the oven. I also under-bake it. Most loaf cakes bake for 50 minutes. I baked this one for about 40 minutes on 325 degrees convection. Then I let it cool in the pan for 15 minutes before serving. 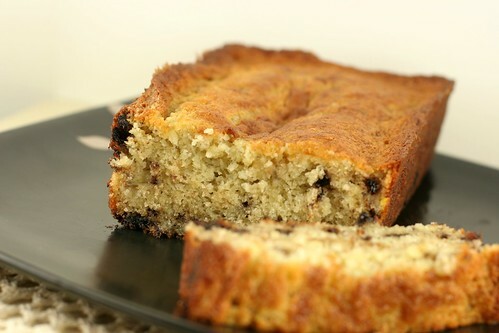 The result is an incredibly moist cake full of sweet banana flavor. 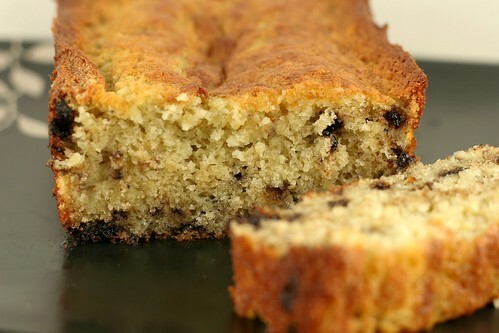 The buttermilk adds a slightly tangy flavor to the cake, but not too overpowering. 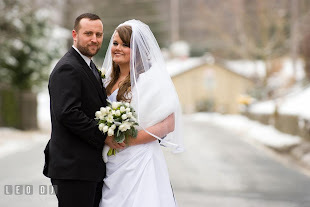 My whole family loved it. It was epic banana loaf cake. Grease and flour 1 large loaf pan. Preheat oven to 350 degrees or 325 degrees convection. In the bowl of a stand mixer, cream butter and sugar together. Add eggs, mashed bananas, buttermilk, and vanilla until the batter is well mixed. Add in the flour, baking powder, salt and baking soda. Mix until well combined. Add chocolate chips and combine. Pour batter into loaf pan and bake for 20 minutes. Place sheet of aluminum foil over pan and bake for an additional 20 minutes or until a toothpick comes out with crumbs. Let the cake cool for 15 minutes in the pan. Loosen the bread with a knife and carefully remove from pan. Finish cooling on rack. Slice and serve once cooled. YUM!!!! Bananas and chocolate...two of my favorites! I remember my brother-in-law converting me and my sister to chocolate chips in banana bread a few years ago. He had never heard of banana bread without it. We had never heard of it with them. He won. It's delicious. I love the addition of buttermilk to this bread. It looks so moist. The first thing I said was "Chocolate chips???" Sometimes (always) I like things the way I have always had them, and banana bread is one thing I have never even considered eating with chocolate chips inside. Well, that has changed. 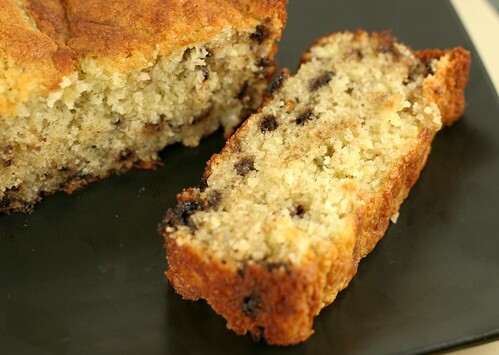 I love any version of banana cake, especially when chocolate chips are involved! I love it when the ingredients in my kitchen conspire to coerce me to make something delicious. This cake looks fantastic! yummy~~~!!! i love banana + chocolate! and jenna, come back to blogworld~~~miss u!